Vermiculite Insulation Fiberglass Cloth 18 oz. 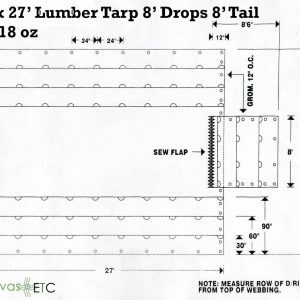 | 5' Wide x 150' Long | Canvas Etc. Vermiculite Insulation Fiberglass Cloth has a peak temperature performance of 1500 degrees Fahrenheit which makes it an ideal high temp insulation. 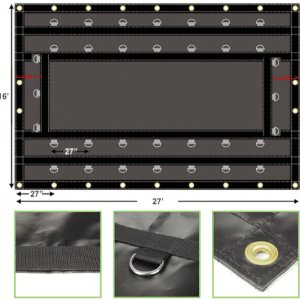 Its primary applications include: insulation and insulation pads, gaskets, welding cloth and welding blankets. Using this material for pipe lagging, heat shields, expansion joints, removable insulation blankets and pads, and for the protection of machinery are also quite common end-uses. High-temperature fabrics are consistently used in many applications to reduce the risk of fire and heat, to protect equipment and personnel, and to save money and lower energy consumption. They are lightweight, flexible and quite versatile. 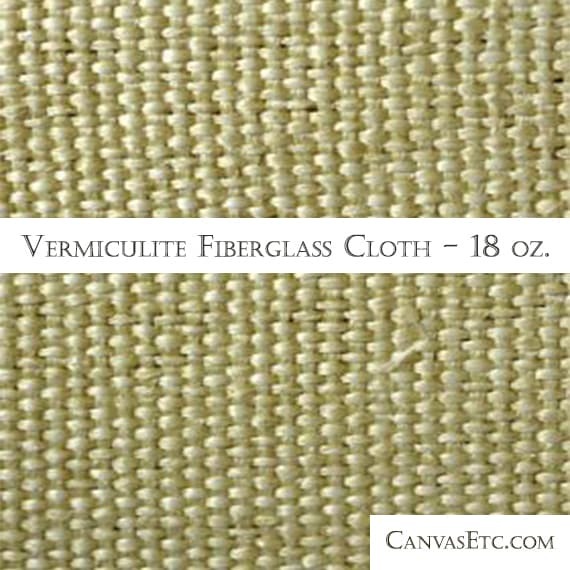 Vermiculite Insulation Fiberglass Cloth is sold by the full 60″ Width x 150′ length Roll only. Vermiculite Insulation Fiberglass Cloth 18 oz. 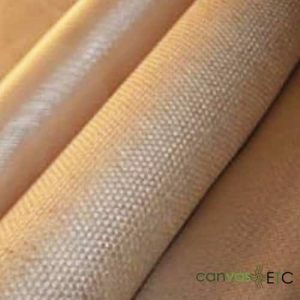 Our high temperature resistant fiberglass cloth fabric is woven from “E” glass fibers, and coated with a Vermiculite based film. 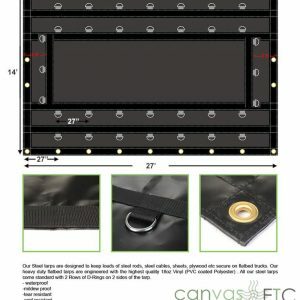 This provides extended service temperatures up to 1500°F, and which makes this an ideal high temp insulation material. 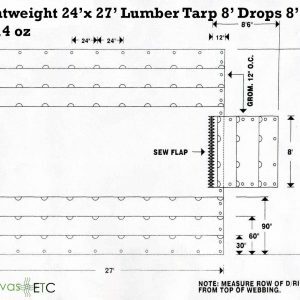 Throughout many applications and used in many industries, this Vermiculite material provides great protection from sparks and grinding, heat treating and sand blasting, and which is why it is often used in the production of welding curtains and blankets, and heat shields, drop cloths and gaskets. Vermiculite is a naturally occurring micaceous hydrated magnesium-aluminum-silicate product. It is asbestos free and 100% inorganic. There are microscopic disc-shaped platelets within the vermiculite film which stack and overlap. Within the fabric’s fiber bundles, these platelets are embedded. Coating the surface then, these platelets form an insulating film which acts as an effective heat and flame barrier.Vermiculite is a natural flaky mineral (similar to mica) that expands like popcorn when heated. Vermiculite is used in insulation, fire retardants, cement aggregate, fertilizer, and potting soil. 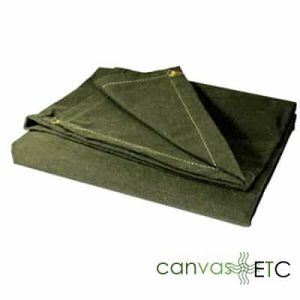 This high temperature resistant fabric offers exceptional temperature and abrasion resistance. Under direct flame, the vermiculite insulation fabric is odorless and virtually smokeless. Testing has confirmed that Vermiculite Cloth has a service temperature of 1500°F, compared to a service temperature of 1000°F for standard 2025/9383 (E-Glass). At temperatures in excess of 1000°F, the Vermiculite Insulation Fabric finish insulates the glass and while the material will become brittle, the Vermiculite Insulation Fiberglass Cloth will not melt or shrink at temperatures up to 1800°F as it is a high temp insulation material. It will continue to perform as an effective heat and flame barrier. Even under direct flame, these Vermiculite fabrics are odorless and virtually smokeless.